You’ve put it off for too long: It’s time to give your home that thorough cleaning and decluttering you’ve been talking about for months. 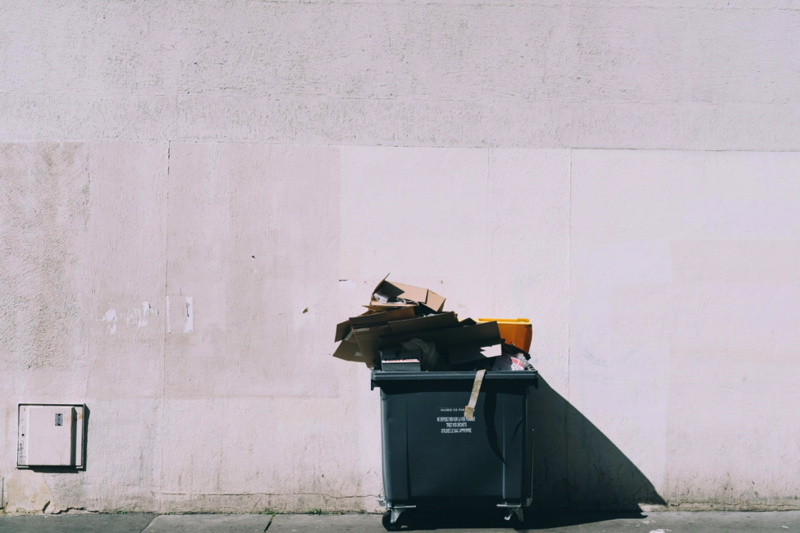 Now that you’ve worked up the courage to tackle this challenge, only one problem remains — cleaning and getting rid of stuff isn’t always the most environmentally sound thing you can do. However, don’t fret. Here’s how to stay eco-friendly while getting your home in order (and keeping it that way). You’ve reused them enough. You’re trying to reduce. Now it’s time to make the effort to fulfill the other big “R”: recycle those big-ticket items like infrequently used electronics and old appliances. There are many ways to ensure your products don’t wind up in a landfill. You can check with companies like Best Buy, Walmart, and other retailers to see if they have electronic and appliance trade-in programs — many of them do, and some online retailers do as well. You can always sell or, better yet, donate your still-working items to local donation centers or through online marketplaces like Craigslist or eBay. If this fails, you can recycle your old devices — you can’t put a microwave, fridge, or computer in your recycling bin. You’ll need to find local recycling centers that handle these sorts of items. Check here for general electronic recycling and here for a nationwide battery recycling program. You’ve heard it before — one man’s trash is another man’s treasure. You may think you’re decluttering junk, but those items could be useful to others. We’ve mentioned taking items to donation centers and giving them away via online channels, but this can take time. You must take steps to avoid throwing things away and further polluting landfills. Give yourself some buffer time. Put items you need to clear from your house or garage in a self-storage unit until you can sell or donate them properly. The average price of a self-storage unit in Fayetteville, Arkansas, over the past 180 days is $81.40, so it’s worth it to help out the environment. Once you get all of that clutter out of your house, it’ll be time to clean. Be careful, though, as not all cleaning products are environmentally safe. Some common cleaning products that you should avoid include abrasive cleaners with microbeads, single-use wet wipes, antibacterial products, and aerosols. Pouring large amounts of bleach and other concentrated chemicals down the drain is also a no-no. Try to use washable rags and towels (a roll of reusable, washable bamboo towels is only $9.99) instead of the paper variety. Make your own cleaning solvents or pick from some environmentally sound options. Anything you can do to reduce the number of physical products — paper and plastic, for example — the better. Of course, we all have things we cannot simply throw away. We have tons of photos, important documents, records, certificates, etc., and we pile on more every week through paper bills and financial transactions. Declutter your life and help the planet by first going paperless with your bills/finances. Next, embrace online storage (you can get iCloud storage for as little as $.99 per month) and scan your important documents and photos so you can get rid of physical copies. You can always print them again at any time if you truly need them in your hand. It’s not hard to clean and declutter in an eco-friendly manner — it just takes a little bit of care. When you’re done with your green clean, you’ll feel doubly proud. You’ll have an organized, junk-free, sparkling home, and you will not have done damage to Mother Earth!